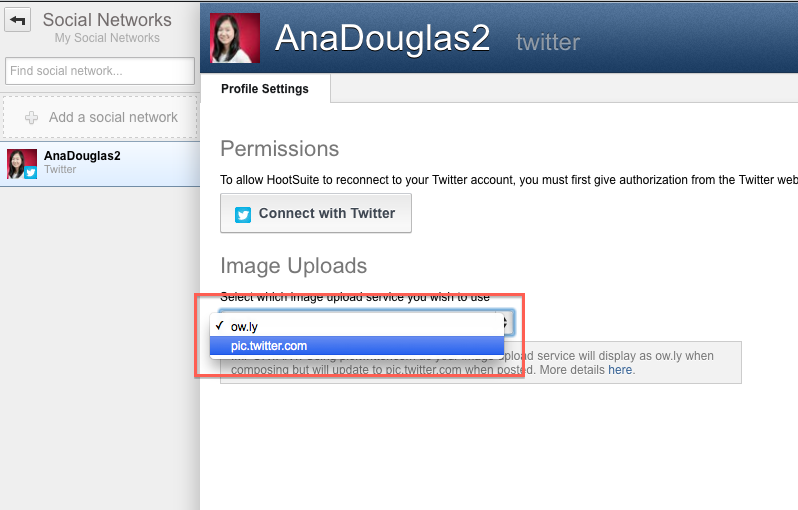 A friendly reminder to all HootSuite Pro users that just under one month ago they released an update allowing you to upload your photos using the preferred Pic.Twitter.Com function (as opposed to ow.ly). To change your settings click on your “User Profile” button; click on the “Settings” gear under your profile. Once you press “Settings” a pop-up window will appear (see below). Click to select Pic.Twitter.Com under “Image Uploads.” And voila! Your settings have now been changed. 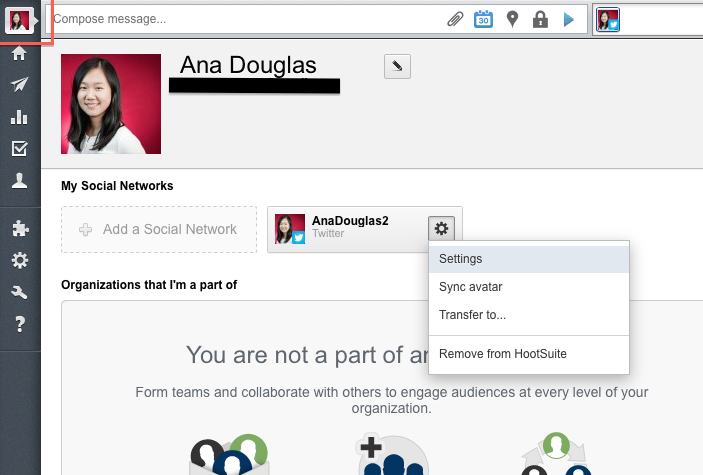 A word to the wise: your photos will still appear as a ow.ly attachment when scheduling in HootSuite – don’t freak out! This will change automatically to Pic.Twitter.Com when your social message goes live. READ INFOGRAPHIC: Are You On the Right Social Media Platform? Next Post POLL: Do You Think Social Media Should Be Outsourced or Kept In-House? Hmm it seems like your blog ate my first comment (it was extremely long) so I guess I’ll just sum it up what I submitted and say, I’m thoroughly enjoying your blog. I too am an aspiring blog writer but I’m still new to everything. Do you have any points for beginner blog writers? I’d really appreciate it. Hi there, thanks for your kind words! I use a free WordPress theme called Adelle (by BluChic).